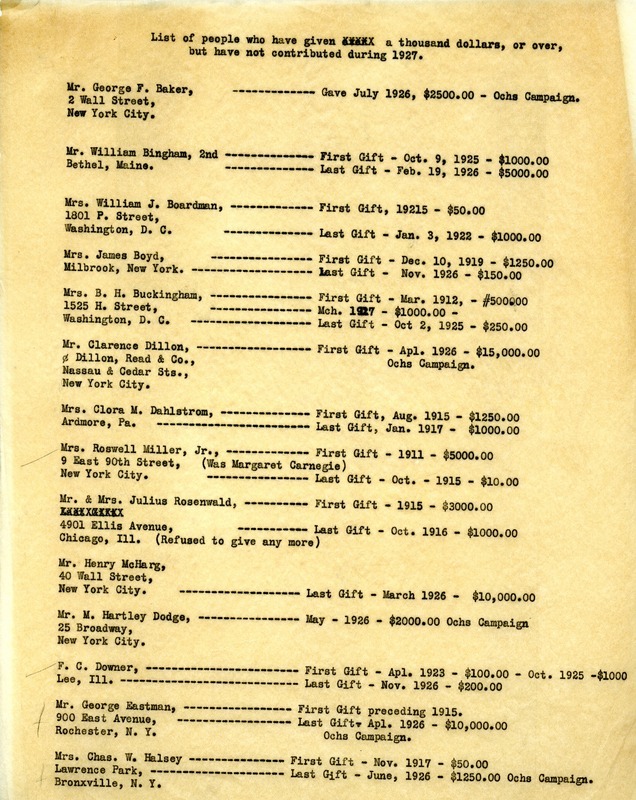 A list of donors of $1,000 or more who have not contributed during 1927. Names include Mr. and Mrs. Julius Rosenwald, with the note "refused to give any more," and George Eastman, who gave $10,000 in 1926. “Donor list, 1927.” Martha Berry Digital Archive. Eds. Schlitz, Stephanie A., Sherre Harrington, et al. Mount Berry: Berry College, 2012. accessed April 26, 2019, https://mbda.berry.edu/items/show/8440.